Abstract: China accounts for about 60% tungsten reserves of the world. More than 90% of the Chinese tungsten resources occur in the Nanling region as tungsten polymetallic deposits. The Nanling region locates at the central west Cathaysia Block in South China where abundant Jurassic granitic intrusions are distributed. Previous studies have significantly advanced our understanding of the tungsten ore formation in the Nanling region. These deposits are usually of the quartz-wolframite vein type. They have ages of about 150~160Ma, and are spatially and temporally related to the Jurassic granites, believed to be produced by crustal anatexis. The formation of quartz-vein type tungsten deposits in South China has always been considered to be related to S-type granite derived from remelting of crustal materials. However, in recent years, studies on the metallogenic mechanism of Mesozoic W-Sn deposits in Nanling region have demonstrated that mantle material and mantle fluid may be involved in tungsten and tin mineralization. The Taoxikeng deposit is a large-sized W deposit located at Jiangxi. Here, we conducted studies He and Ar isotope of pyrite- and arsenopyrite-trapped fluid inclusions on Taoxikeng quartz-vein type wolframite deposit. 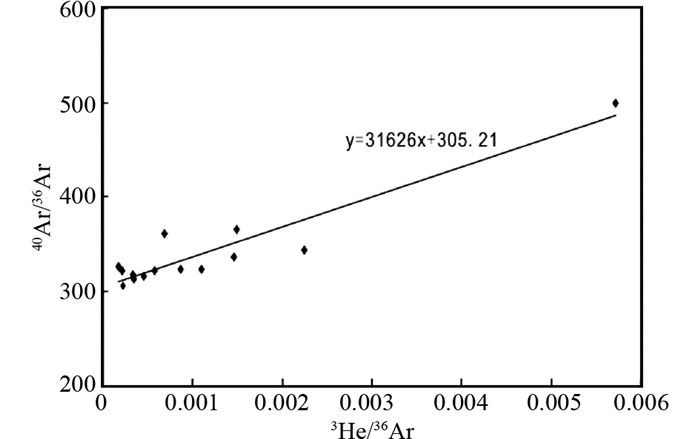 The analytical results of He and Ar isotope of pyrite- and arsenopyrite-trapped fluid inclusions show that, 3He/4He ratio of arsenopyrite between 1.38 and 2.11Ra (Ra is 3He/4He in air, 1Ra=1.39×10-6). The 3He/4He of pyrite between 0.67 and 0.37Ra. 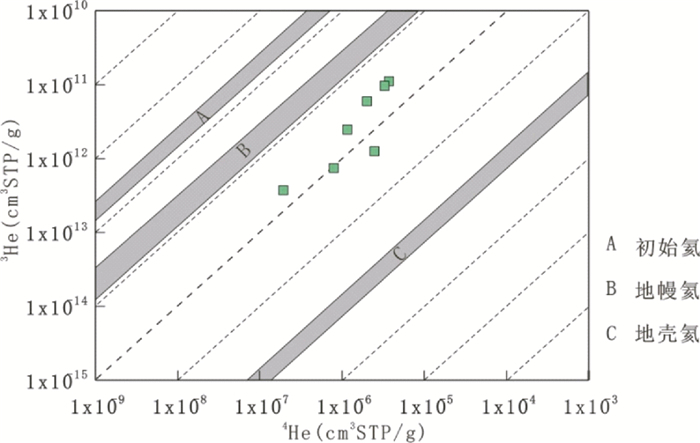 The concentration of 4He is between 1.98×10-7 and 49.1×10-7cm3 STP/g. The concentration of 40Ar is 4.19×10-7~51.4×10-7cm3 STP/g, 3He/4He is 0.37~2.11Ra. 40Ar/36Ar is 309.5~383.6, slightly higher than the ratio of atmosphere 40Ar/36Ar (295.5), the ratio of 38Ar/36Ar is 0.19~0.23, with the average of 0.183, which is close to the atmospheric value (0.188). These indicate that the ore-forming fluid has the characteristics of mixing both ends of the crust and mantle. The crustal fluid is composed of low temperature atmospheric water interacted with crustal rocks, and the fluid containing mantle-derived components is exsolved from granite. Combined with previous studies, it is believed that the deposit is closely related to Mesozoic large-scale asthenosphere upwelling, lithospheric thinning and crustal extension in South China, which provided favorable condition to lead the mantle-derived He/heat upward and then to melt the crustal materials and to form the ore-forming granitic magmas. Chen ZH, Wang DH, Qu WJ, Chen YC, Wang PA, Xu JX, Zhang JJ and Xu ML. 2006. Geological characteristics and mineralization age of the Taoxikeng tungsten deposit in Chongyi County, southern Jiangxi Province, China. Geological Bulletin of China, 25(4): 496-501. Chi GX and Lai JQ. 2009. Roles of fluid inclusions in study of mineral deposits. Mineral Deposits, 28(6): 850-855. Feng CY, Feng YD, Xu JX, Zeng ZL, She HQ, Zhang DQ, Qu WJ and Du AD. 2007. 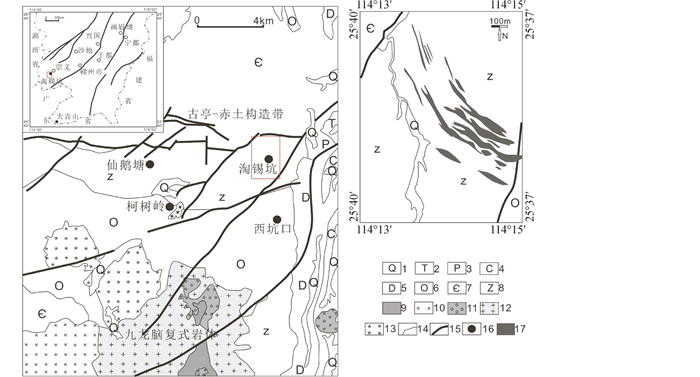 Isotope chronological evidence for Upper Jurassic petrogenesis and mineralization of altered granite-type tungsten deposits in the Zhangtiantang area, southern Jiangxi. Geology in China, 34(4): 642-650. Guo CL, Wang DH, Chen YC, Wang YB, Chen ZH and Liu SB. 2007. Precise zircon SHRIMP U-Pb and quartz vein Rb-Sr dating of Mesozoic Taoxikeng tungsten polymetallic deposit in southern Jiangxi. Mineral deposits, 26(4): 432-442. Guo CL, Lin ZY, Wang DH, Chen W, Zhang Y, Feng CY, Chen ZH, Zeng ZL and Cai RQ. 2008. Petrologic characteristics of the granites and greisens and muscovite 40Ar/39Ar dating in the Taoxikeng tungsten polymetallic deposit, southern Jiangxi Province. Acta Geologica Sinica, 82(9): 1274-1284. Hu RZ, Bi XW, Turner G and Burnard PG. 1999. He and Ar isotopic geochemistry of gold ore-forming fluids in the Ailaoshan gold mineralization belt. Science in China (Series D), 29(4): 321-330. Hu RZ, Mao JW, Hua RM and Fan WM. 2015. Intra-Continental Mineralization of South China Craton. Beijing: Science Press: 1-903. Liu YM, Wang CL, Xue YZ, Lu HZ, Kang WQ and Zeng T. 1998. Metallogenic conditions and metallogenic models of Shizhuyuan ultra-large tungsten polymetallic deposit. Science in China (Series D), 28(Suppl. ): 49-56. Lu HZ, Fang HR, Nie P, Ou GX, Shen K and Zhang WH. 2004. Fluid Inclusion. Beijing: Science Press: 1-487. Ma TQ, Wu GY, Jia BH, Bai DY, Wang XH and Chen BH. 2005. Middle-Late Jurassic granite magma-mixing in the middle segment of the Nanling Mountains, South China:Evidence from mafic microgranular enclaves. Geological Bulletin of China, 24(6): 506-512. Mao JW, Xie GQ, Li XF, Zhang CQ and Mei YX. 2004. Mesozoic large scale mineralization and multiple lithospheric extension in South China. Earth Science Frontiers, 11(1): 45-55. Roedder E. 1984. Fluid inclusions. Reviews in Mineralogy and Geochemistry, 12: 644. Song SQ, Hu RZ, Bi XW, Wei WF and Shi SH. 2009. Hydrogen, oxygen and sulfur isotope geochemical characteristics of Taoxikeng tungsten deposit in Chongyi County, southern Jiangxi Province. Acta Mineralogica Sinica, Suppl. : 328. Song SQ, Hu RZ, Bi XW, Wei WF and Shi SH. 2011a. Fluid inclusion geochemistry of the Taoxikeng tungsten deposit in southern Jiangxi Province, China. Geochimica, 40(3): 237-248. Song SQ, Hu RZ, Bi XW, Wei WF and Shi SH. 2011b. Hydrogen, oxygen and sulfur isotope geochemical characteristics of Taoxikeng tungsten deposit in Chongyi County, southern Jiangxi Province. Mineral Deposits, 30(1): 1-10. Sun T and Zhou XM. 2002. Late Mesozoic extension in Southeast China:Petrologic symbols. Journal of Nanjing University (Natural Science), 38(6): 737-746. Tu GC. 1998. The unique nature in ore composition, geological background and metallogenic mechanism of non-conventional superlarge ore deposits:A preliminary discussion. Science in China (Series D), 41(Suppl. ): 1-6. Wei SL, Jia BH and Zeng QW. 2006. Metallogenic mechanism of tungsten deposit in Nanling area. Resources Survey & Environment, 27(2): 103-109. Wu ZJ, Xu ML, Zhao L, Luo XH and Wu ST. 2009. The structural ore-controlled mechanism of the large-scaled Taoxikeng tungsten ore. China Tungsten Industry, 24(1): 16-20, 39. Xi BB, Zhang DH, Zhou LM, Zhang WH and Wang C. 2008. Characteristics of ore-forming fluid evolution in Dajishan tungsten deposit, Quannan County, Jiangxi. Acta Geologica Sinica, 82(7): 956-966. Xie GQ, Mao JW, Hu RZ, Li RL and Cao JJ. 2005. Discussion on some problems of Mesozoic and Cenozoic geodynamics of Southeast China. Geological Review, 51(6): 613-620. Xu ML, Feng WD, Zhang FR, Li JD and Luo XH. 2006. 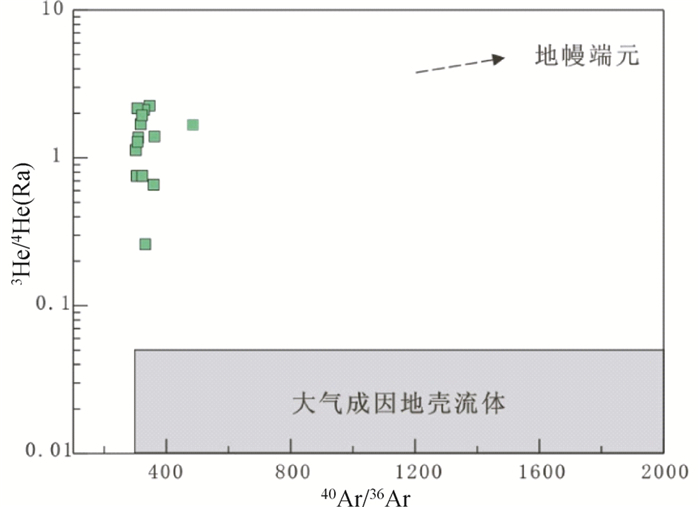 Metallogenicy characteristics of Taoxikeng wolfram deposit, Chongyi. Resources Survey & Environment, 27(2): 159-163. Yang F, Xiao RG, Bai FJ and Liang T. 2014. 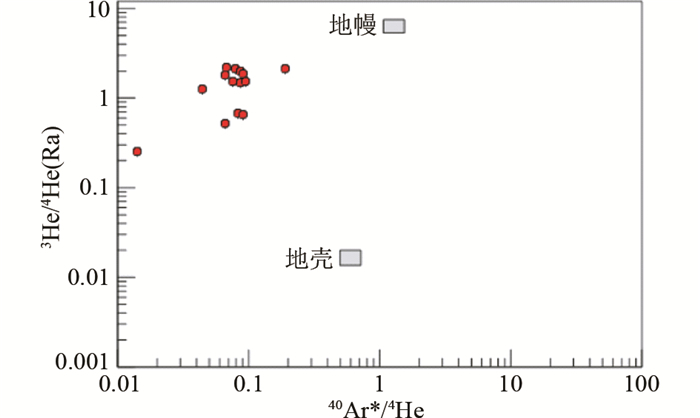 REE geochemistry of the Taoxikeng tungsten deposit in Ganzhou, Jiangxi Province. Geology and Exploration, 49(6): 1139-1152. Zhang SB and Zheng YF. 2013. Formation and evolution of Precambrian continental lithosphere in South China. Gondwana Research, 23(4): 1214-1260. Zhang WL, Hua RM, Wang RC, Chen PR and Li HM. 2006. New dating of the Dajishan granite and related tungsten mineralization in southern Jiangxi. Acta Geologica Sinica, 80(7): 956-962. Zou X. 2006. The research on the geochemical characteristic and genesis of tungsten deposit in Taoxikeng, Jiangxi. Master Degree Thesis. Beijing: China University of Geosciences: 1-60. 胡瑞忠, 毕献武, Turner G, Burnard P. 1999. 哀牢山金矿带金成矿流体He和Ar同位素地球化学. 中国科学(D辑), 29(4): 321-330. 胡瑞忠, 毛景文, 华仁民, 范蔚茗. 2015. 华南陆块陆内成矿作用. 北京: 科学出版社: 1-903. 刘义茂, 王昌烈, 胥友志, 卢焕章, 康卫清, 曾提. 1998. 柿竹园超大型钨多金属矿床的成矿条件与成矿模式. 中国科学(D辑), 28(增刊): 49-56. 卢焕章, 范宏瑞, 倪培, 欧光习, 沈昆, 张文淮. 2004. 流体包裹体. 北京: 科学出版社: 1-487. 宋生琼, 胡瑞忠, 毕献武, 魏文凤, 石少华. 2009. 赣南崇义地区淘锡坑钨矿氢、氧、硫同位素地球化学研究. 矿物学报, (增刊): 328. 宋生琼, 胡瑞忠, 毕献武, 魏文凤, 石少华. 2011a. 赣南淘锡坑钨矿床流体包裹体地球化学研究. 地球化学, 40(3): 237-248. 宋生琼, 胡瑞忠, 毕献武, 魏文凤, 石少华. 2011b. 赣南崇义淘锡坑钨矿床氢、氧、硫同位素地球化学研究. 矿床地质, 30(1): 1-10. 孙涛, 周新民. 2002. 中国东南部晚中生代伸展应力体制的岩石学标志. 南京大学学报(自然科学), 38(6): 737-746. 涂光炽. 1998. 试论非常规超大型矿床物质组成、地质背景、形成机制的某些独特性-初谈非常规超大型矿床. 中国科学(D辑), 28(增刊): 1-6. 杨帆, 肖荣阁, 白凤军, 梁涛. 2014. 江西赣州淘锡坑钨矿床稀土地球化学研究. 地质与勘探, 49(6): 1139-1152. 赵振华, 包志伟, 张伯友, 熊小林. 2000. 柿竹园超大型钨多金属矿床形成的壳幔相互作用背景. 中国科学(D辑), 30(增刊): 161-168. 邹欣. 2006. 江西淘锡坑钨矿地球化学特征及成因研究.硕士学位论文. 北京: 中国地质大学: 1-60.